You are currently browsing the archives for the tag 'adriana karembeu'. 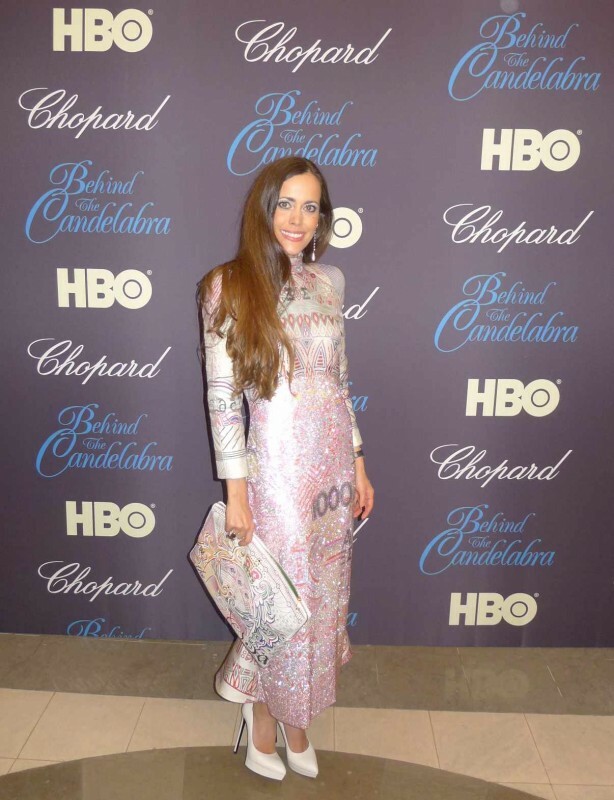 Last Tuesday, I was invited by Chopard to see the screening of “Behind the Candelabra” with Matt Damon and Michael Douglas who were both present. 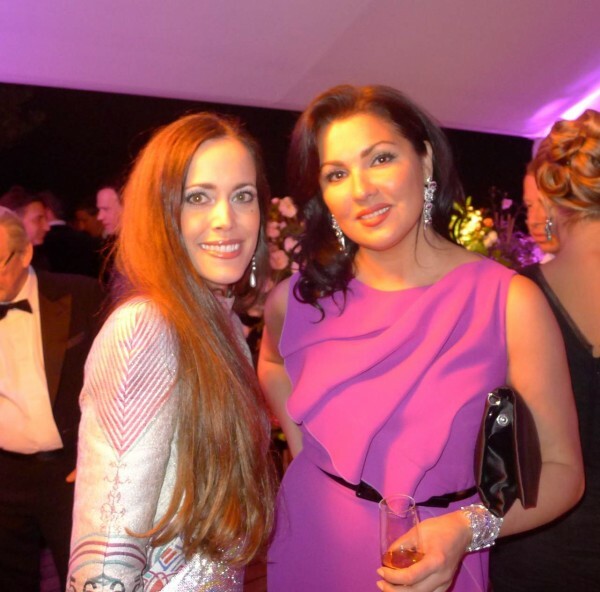 The “Montée des Marches” at the Palais des Festivals, the legendary black tie event, is something I will never forget. 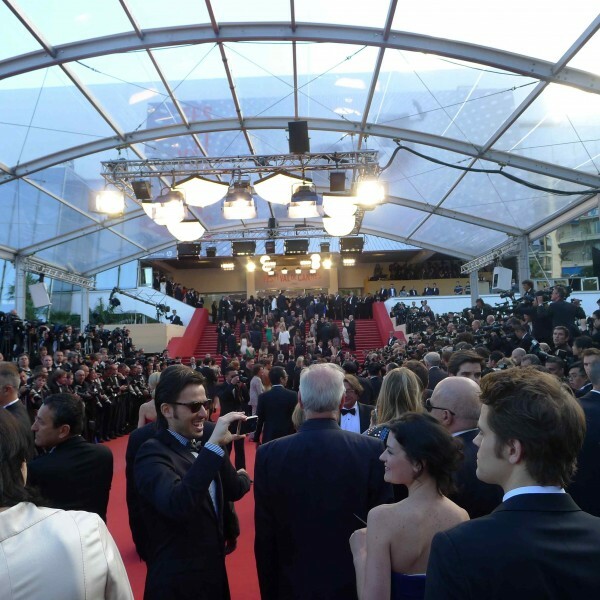 Being on the red carpet in Cannes feels very special. I was able to experience it already last year and if you are interested, have a look at the previous post by clicking here. 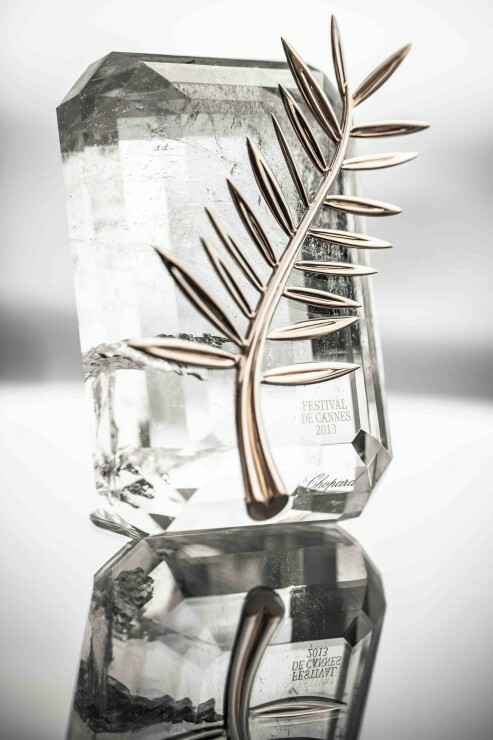 Since 1998, my host Chopard has been enjoying a true romance with the Cannes International Film Festival. To mark the 15th anniversary of this partnership, the watchmaker-jeweller organised several high profile events during the festival fortnight including a photo exhibition of the most beautiful onscreen kisses and the presentation of its new Haute Joaillerie Red Carpet collection that I will show you very soon on the blog. Chopard also crafted the Festival’s supreme award, the legendary Palme d’Or. 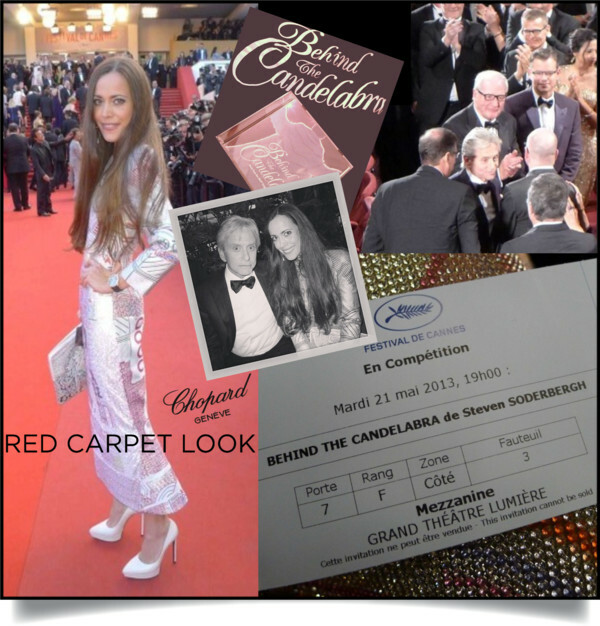 I hope you will like my little photo diary of the night including the most unforgettable moments like walking on the red carpet. 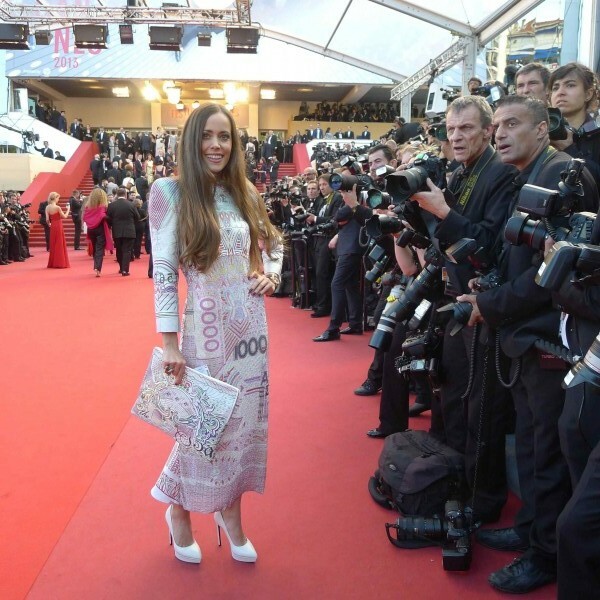 My look: Alias dress with Swarovski crystals and pound printed leather pouch, both by Mary Katrantzou, Janis leather pumps by Saint Laurent. Model and actress Adriana Karembeu arrived at the same time like me. 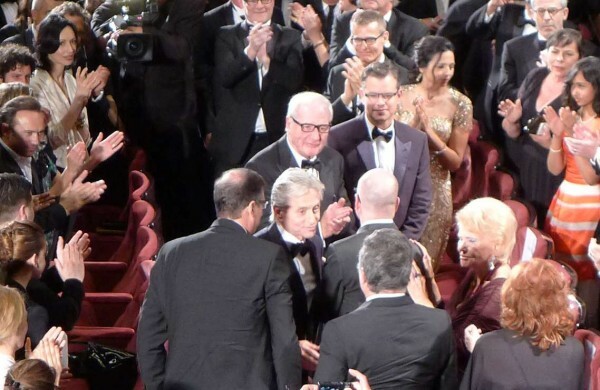 Of course, the two leading actors of the movie “Behind the Candelabra”, Matt Damon and Michael Douglas, came last. The American drama directed by Steven Soderbergh is about the life of pianist Liberace (Michael Douglas in his best role ever) and the secret affair he had with young Scott Thorson (Matt Damon). The movie is based on a true story, Thorson’s memoir, and unveils the excessive lifestyle of the performer and his intimate circle of friends, lovers, and businessmen. I have absolutely loved the film. 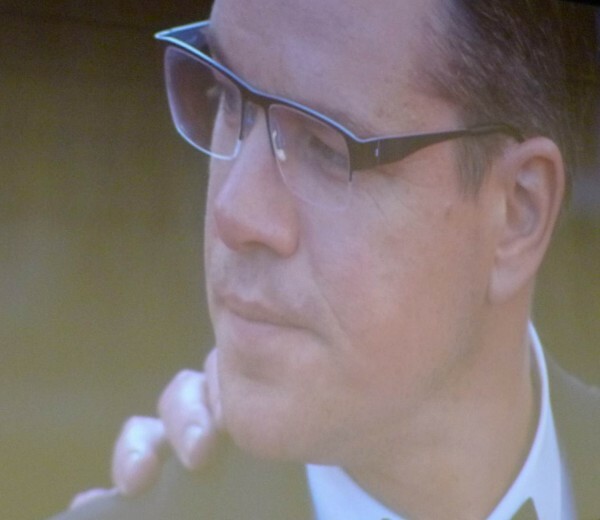 Matt Damon and Michael Douglas perform amazingly. You experience the different stages of the gay couple’s relationship that they always kept behind closed doors as Liberace was not open about his homosexuality. 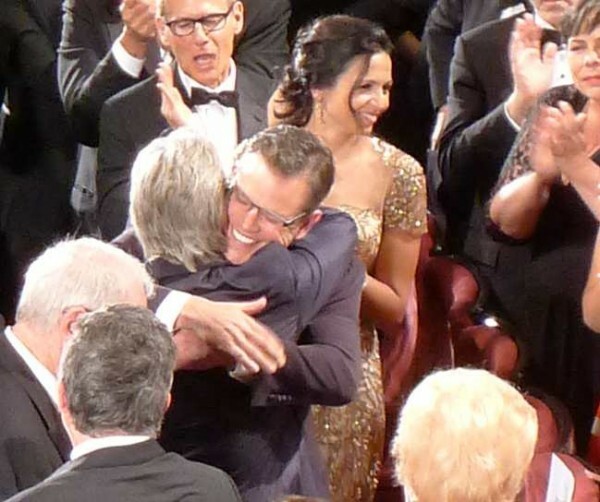 Standing ovations and a good laugh when Matt Damon hugged Michael Douglas intimately. 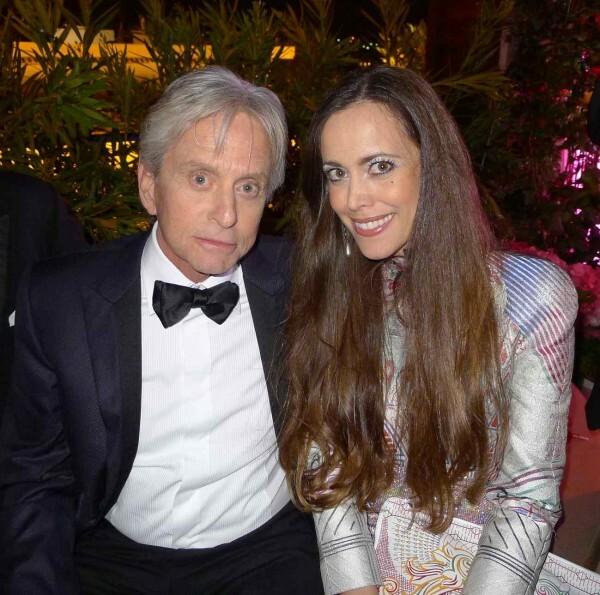 Later, the “Behind the Candelabra” after party took place at the Chopard Terrace at the famous Hotel Martinez in the presence of the movie cast and many other celebrities. 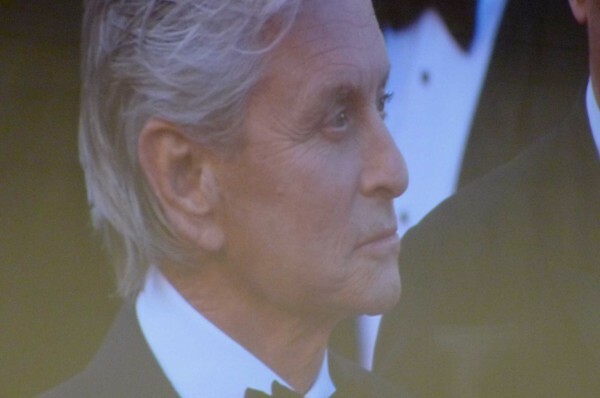 What an honour to have a little chat with the famous Michael Douglas! Model and ex-girlfriend of Leonardo di Caprio Erin Heatherton is the new face of Chopard. Rosario Dawson recognized me from the Montblanc Pre-Oscar Charity Brunch in Los Angeles last February. How sweet! 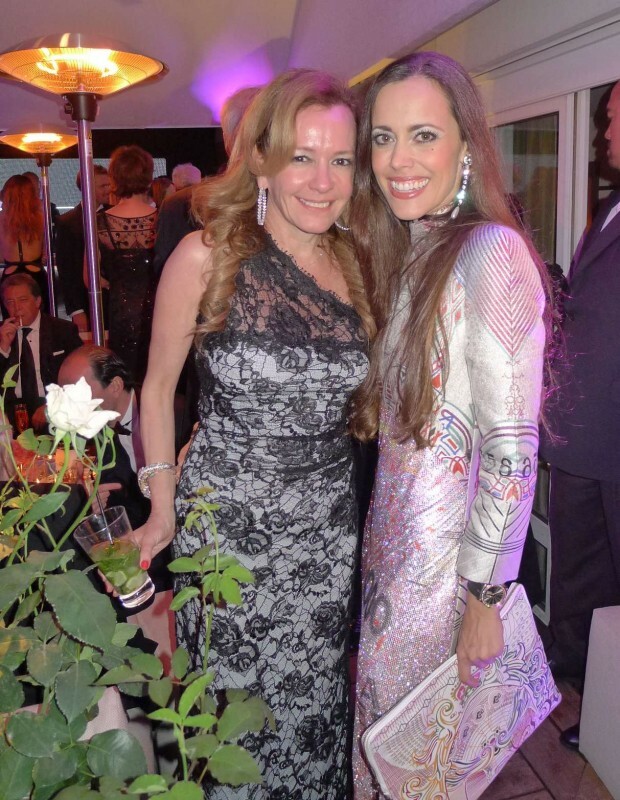 I had so much fun that night, thank you, Chopard, for that unforgettable experience and Valeria for taking all those photos of me!